Have you ever put cucumber in a smoothie? Today is the day. 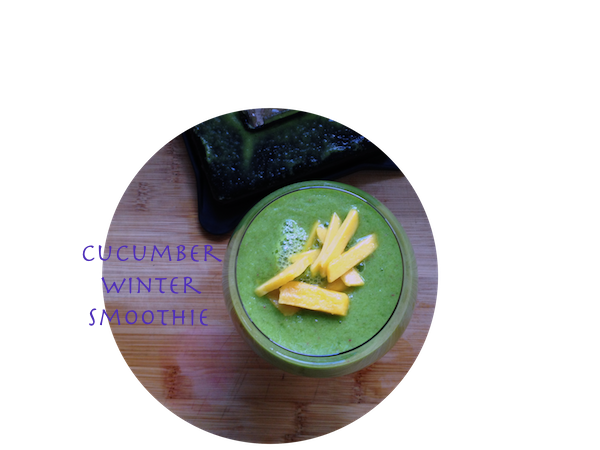 Meet Cucumber Winter Smoothie. This was a delicious smoothie and is filled with plant fiber, protein, vitamins, minerals, antioxidants, anti-cancer properties and let’s not forget great flavor. I lucked out yesterday when we visited Morrow Brothers Produce mart, they had beautiful English cucumbers 2/$1. What!? I know. I bought 4. 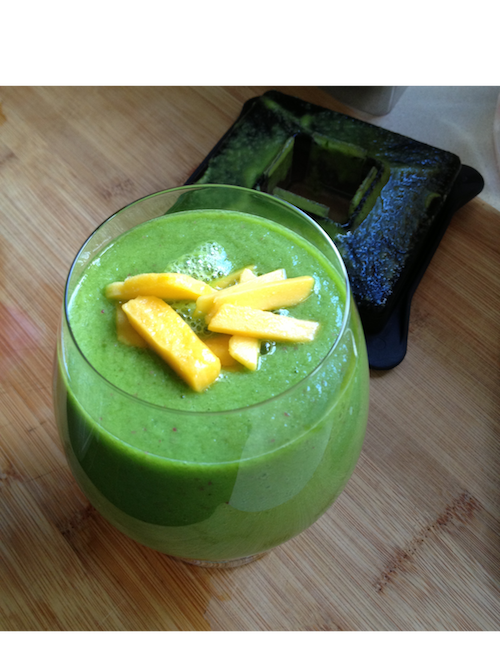 Add ingredients to a high-speed blender and process until smooth. 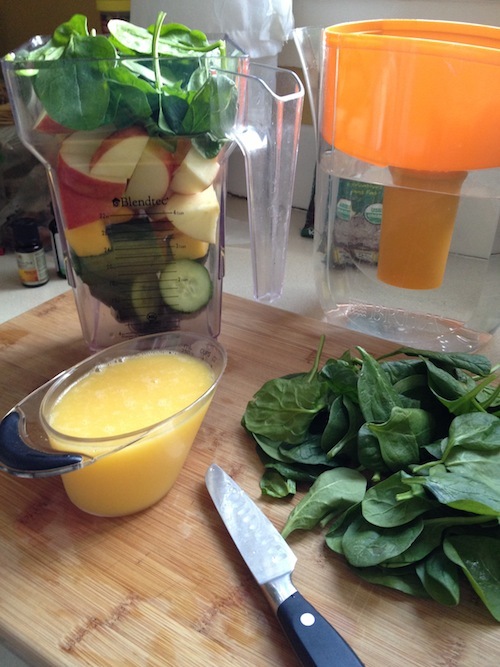 If using a regular blender just chop the ingredients a little smaller and blend in batches if necessary. 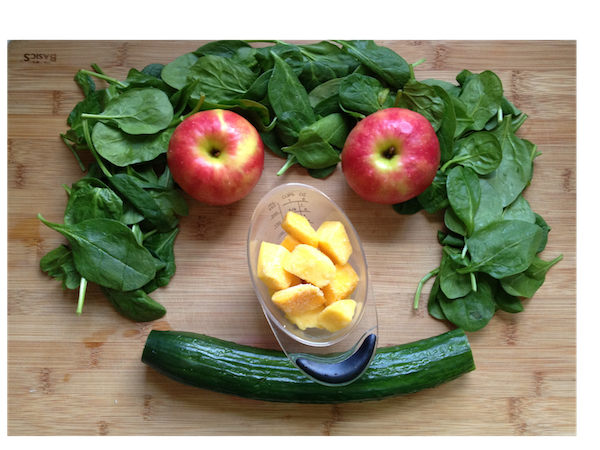 *Note: I was using one of my smaller blendtec containers and blended the fruit first then added the spinach and finished blending. 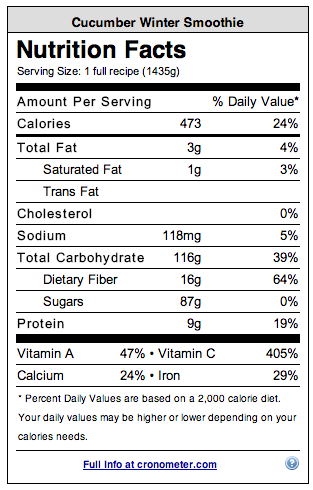 16 g of fiber – 9 g protein – 29% iron – 24% calcium – 405% vitamin c – 47% vitamin a — does a body good! it looks delicious, it sounds delicious and i’m sure it tasts delicious….